Kuzin also pointed out that America’s support for these terrorists violates the UN Charter as well as various agreements aimed at ending the crisis in Syria. 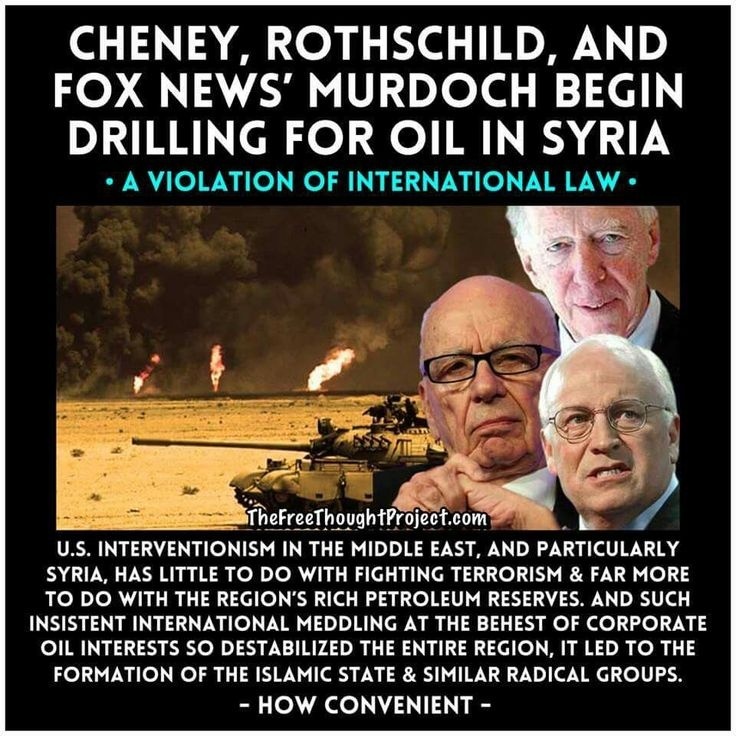 The US is therefore on a mission to stoke the violence inside Syria in order to justify its presence and intervention in the war torn Middle Eastern country. That the US will utilize any means that they can to exercise their influence in the region is not a surprise, and that Washington supports terrorist groups in Syria is something of an open secret, as Washington just recently announced that it is resuming its funding of the terrorist linked group, the ‘White Helmets‘, which was largely responsible for the claims alleging that Assad’s government employed chemical weapons on Syrian civilians in Douma back in April. The Syrian rebel groups and others which the US deems ‘moderates’ have also been recipients of aid and munitions from Washington’s coffers, and have served to further escalate tensions and further destabilize the region. America is also openly supporting Kurdish groups inside Syria for this purpose as well, much to the disapproval of NATO ally Turkey. Why does the UN allow the US to illegally invade any nation of their choosing, plus close down the sovereign nations airspace? Together with providing all the chemicals and accessories, for the CW attacks? What are the White Helmets going to spend their Trump funded $6 million on? What’s saddest is that once upon a time, a story like this would stun American audiences and fuel demands for change, but since the American left has been put to sleep by Neoliberals like Obama, and the American right is obsessed with war profiteering for their donors, it doesn’t look like America has the ability to be introspective anymore. 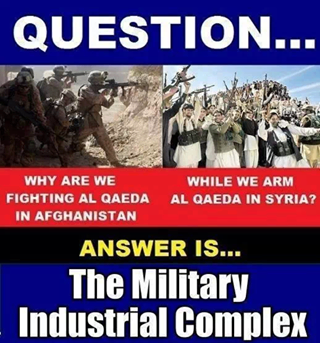 Too many competing interests aligned only in their desire to fuel perpetual war. Now this is interesting; isn’t Russia supposed to be in Syria fighting terrorists with Iran, Hezbollah and their allies, then why haven’t they attacked those bases knowing that terrorists are their? America lies to its own people. Think about that . . .
Ha. Only the naive believe that. Yet we have to continue to give our tax dollars for this kind of crap, or we go to jail. Now think about THAT. I’ve got a few articles, saying that the US has turned it’s back on the Kurds!